Chinese New Year is just less than a week away and so is the typical Chinese New Year weather, it just getting hotter and hotter till I want to find any possible way to cool down the heat. 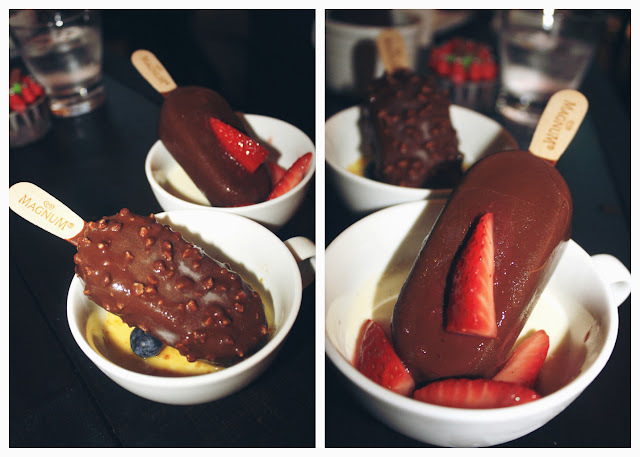 Yes, that's right, aside from cold beverages, ice-cream is one of my favourite in such hot weather. Especially when it's something rich in flavour, and its chocolate crispy outer crust that brings all the joy to you that moment you had your first bite. Even just think of it now I feel so happy already can! It was such a pleasure to be invited to Magnum Exclusive Preview Party which was held at Renoma Cafe Gallery not long ago. To be honest, it was such a sinful night for those who were on diet because of their free flow ice cream provided all night long, it will be such a sorry thing to say no to it don't you think so? 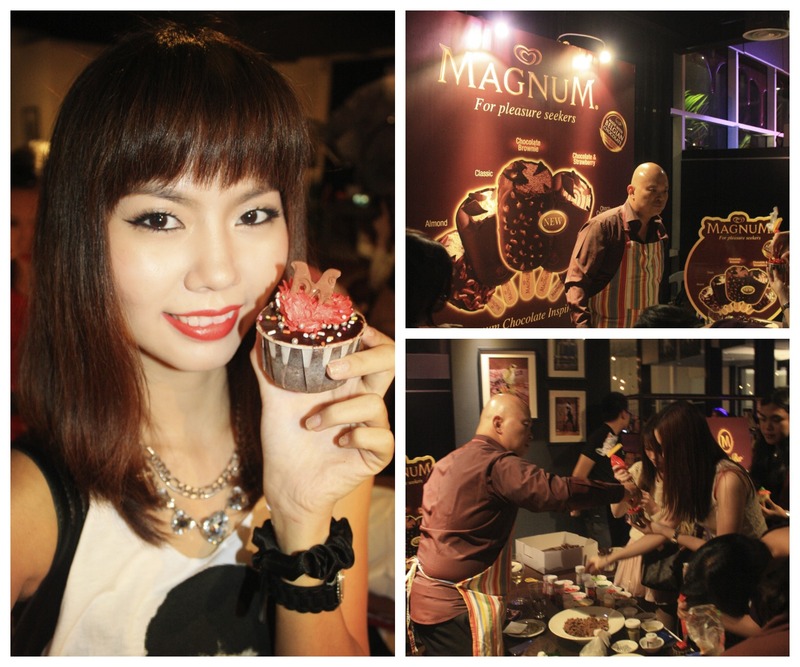 Magnum ice-cream man, we're talking about New Flavour Magnum ice-cream!!! Are you like us? One of the pleasure seekers? My Magnum Babe of the night - Lisa. Everything is so pop and lovely that night! I love their decorations to bit! The photo wall is one of my favourite. Took a lot of shots there with Lisa. lol. 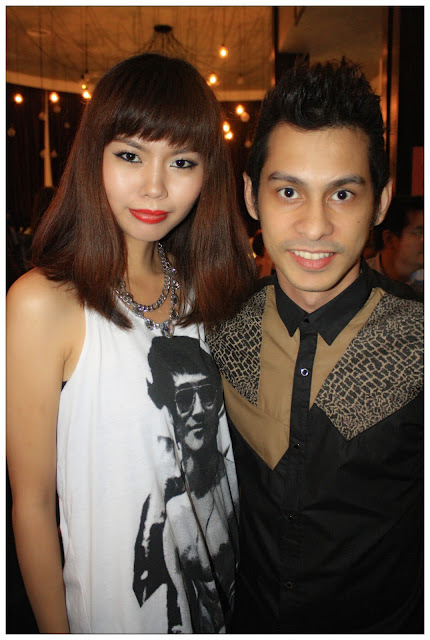 Then, bumped into one of my friend who is working there that night - Sonia. Each guests were given one piece of dark chocolate and they can decorate on it by writing their name. Guess what, I failed miserably. Can't even see my name clearly hahaha. Another section for the guests to have fun is the desserts bar, where guests can decorate their own cupcakes according to their own liking. Actually I didn't put much effort in decorating my cupcake because I just want to proceed to the main area and start eating ice creams already!!! 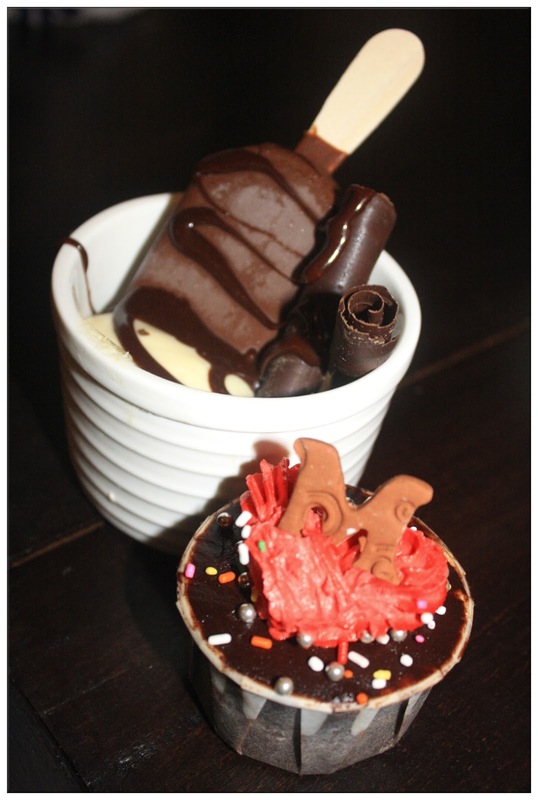 The very first ice cream I had for the day, from the desserts bar. 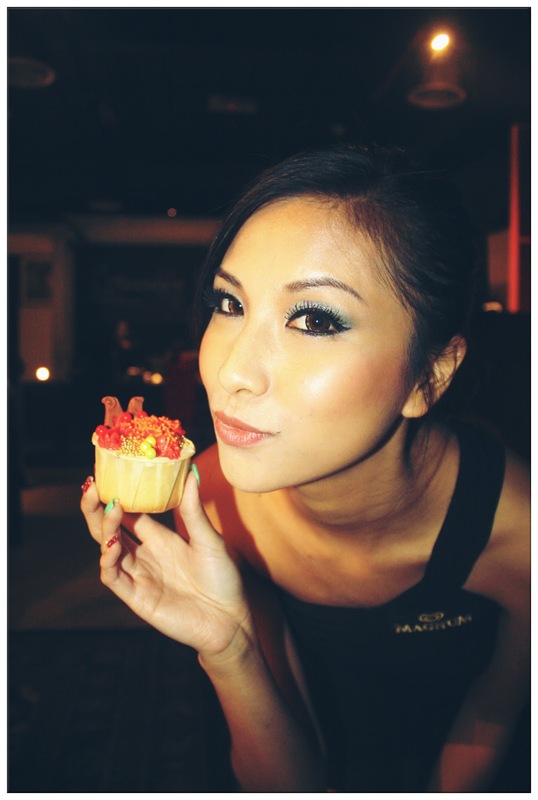 While we're savouring the Magnum ice cream, Mr. Chan from Wall's Malaysia was giving a speech on stage, and the MC of the night was none other than the beautiful Xandria Ooi. 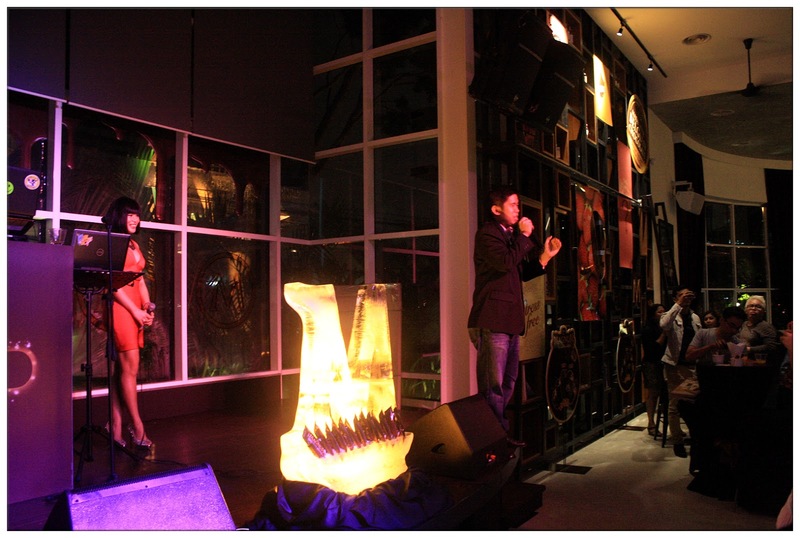 Mr. Chan Meng Yan giving his opening speech and Xandria at the back. 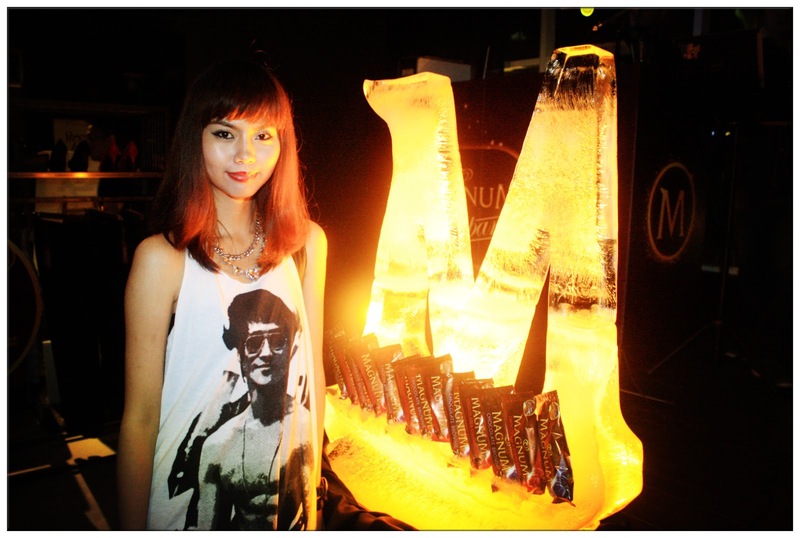 From now on, in my dictionary M will be for Magnum. lol. Actually the only thing we have to do that night during the preview party is to EAT. EAT ALL THE ICE CREAM YOU CAN! Like I've mentioned in my Instagram before, that is one night that diet means nothing to you, you cannot resist the temptations from Magnum Ice Cream, especially when there's NEW FLAVOUR! I wish they are out in the market NOW NOW NOW!!!! I miss these two flavours so much~ Guess which is my favourite? 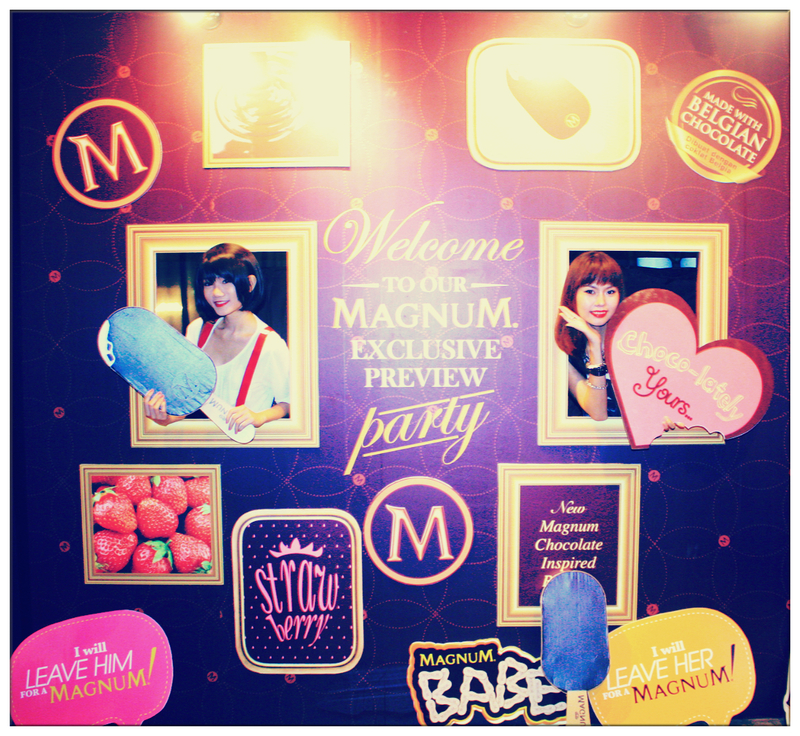 Yummylicious Magnum Ice Cream we just can't resist their seduction. Okay la, it is not just about eating ice cream, since it was a party, of course there'll be a lot people around, music, and of course, fun games to play and prizes to be won! Five lucky guests walked away with Magnum's exclusive USB drive that night! Oh oh, did I forgot to mention that free manicure services were provided that night for all the ladies? It is all about indulging in the good things in life and enjoy! Life isn't about stressing and face all the problems with frown face, it is about enjoying a lil moment of joy for even just a lil while, just like the time you spend indulging in a stick of Magnum ice cream, I bet you will be forgetting all your worries during that short moment. Right after, you'll feel more confidence in facing everything in your life.